HTC, after it’s much appreciated HTC 10, is back with its new mobile named HTC U11. 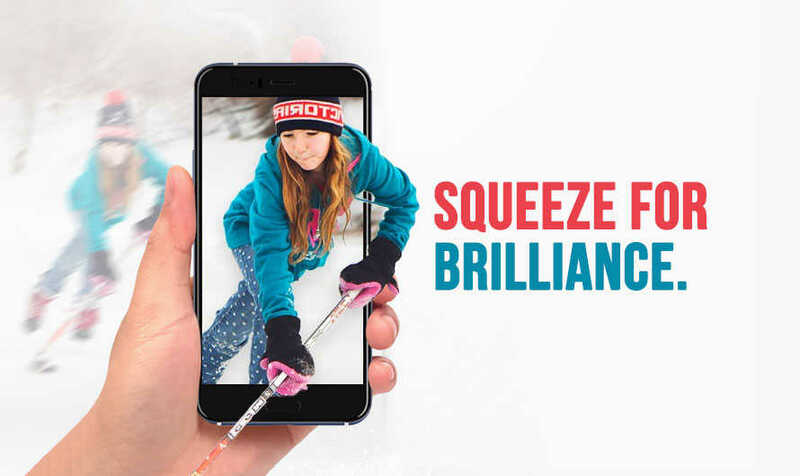 Claiming to be a squeezable phone, the HTC U11 is coming with many unique and decent features. The HTC U11 release date in India is June 17th. Check out our two cents on HTC U11 features and specifications. The HTC U11 packs a Qualcomm Snapdragon 835 Octa-core processor, which is the best in the market as of now. The phone runs on the latest Android version, 7.1 (Nougat). 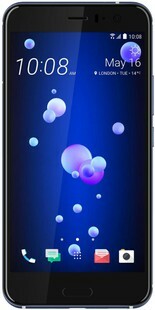 The standard OS of HTC U11 is supported by company’s own user interface HTC Sense UI. The phone also packs a 6GB RAM and Adreno 540 Graphics Processing Unit, which is super good if you want to play games. The primary camera of HTC U11 is a 12MP shooter with autofocus, LED flash, and f/1.7 aperture. It also has some additional features like geo-tagging, touch focus, HDR, and face detection. The secondary, 16MP front camera comes with f/2.0 aperture. The company has concentrated more on the selfie camera which is a juicy 16MP resolution. However, it is proved that the front camera is a little unstable when you’re on the move. But one feature we loved about the HTC U11 camera is the Acoustic Focus. This feature allows you to target an object while shooting a video camera and amplifies the volume of that object as you zoom in. For suppose you are observing a street performer on the other side of the road, you can point your camera at him/her, zoom and clearly listen what he’s playing. Isn’t that cool? Coming to the powerhouse, the HTC U11 comes with a non-removable 3600 mAh Li-Po battery. The company claims that a single charge can run for above 300 hours in standby mode and above 24 hours on talk time. Also, the battery of HTC U11 supports Fast charging. The HTC U11 comes with a 5.5 inch Super LCD5 screen with 71.4% screen to body ratio. The phone looks good both visually and ergonomically, and also carries an impressive 534 ppi pixel density. Coming to the resolution, it packs a 2K display (1440x2560p). So far so good. But what lacks in the design of HTC U11 is both its front and back side. The front side of the phone is quite standard with big bezels and navigation buttons. The fingerprint scanner is placed in the place of the home button. Coming to the rear side, the back panel is shiny cover with vibrant, offbeat colors. While this looks good from far, it takes a lot of smudges. That’s the reason we put that in ‘What’s not’ section. But yes, the company has given a transparent rubber back cover to avoid smudges. The HTC U11 comes with a huge 6GB RAM and 128GB internal memory which can be expandable up to 256GB, with a dedicated slot. There’s another variant of the phone, which comes with a 4GB RAM and 64GB internal memory. One downside of it is that the phone comes with a Hybrid SIM slot, which means you have to sacrifice either the second SIM or expandable storage. The fingerprint is front-mounted. USB Type C. And ouch! the HTC U11 doesn’t come with a 3.5mm jack. Also, the HTC U11 features additional things like Dolby audio enhancement, Active noise cancellation with dedicated mic, and sensors like Accelerometer, proximity, and compass. Add the BoomSound feature too, which gives a bassy audio output when playing media out. The HTC U11 price in India is around INR 53999. When it comes to processor and performance, HTC U11 is a definite keeper. The camera section too is quite good, forgetting the instability in front cam videos. But considering the design, it’s your choice and tastes whether to pick this phone or not. If you like something vibrant and want to get some attention, go for it. Otherwise, take a rain check. You have a couple of other phones like Samsung Galaxy S8 and Google Pixel. HTC U11 full specs and reviews as of Apr 2019. Buy it here! 5 Things that make HTC U11 your next smartphone purchase!